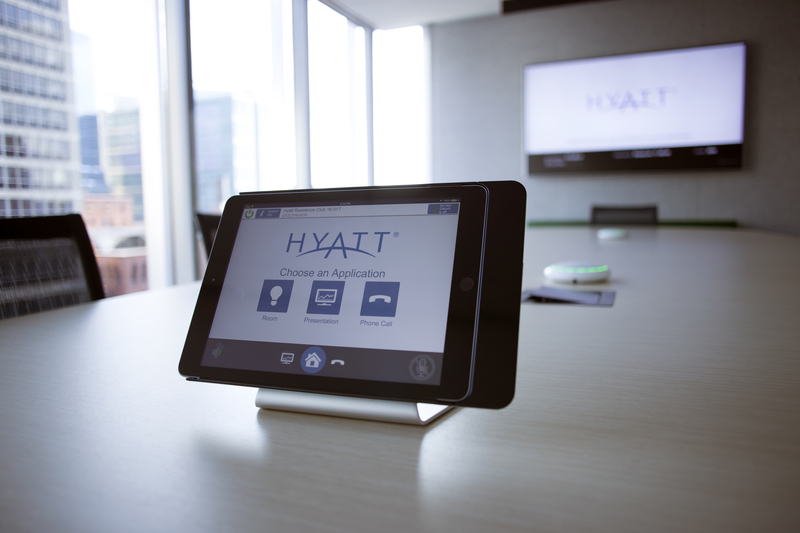 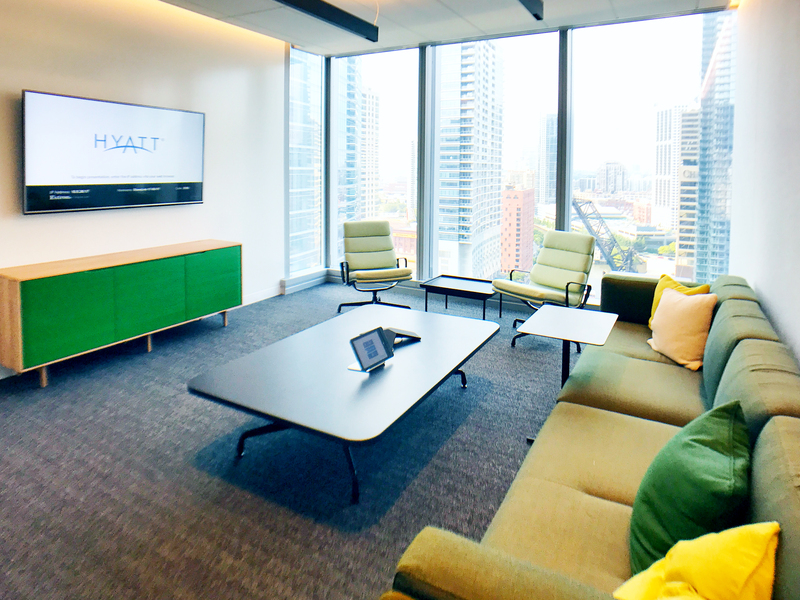 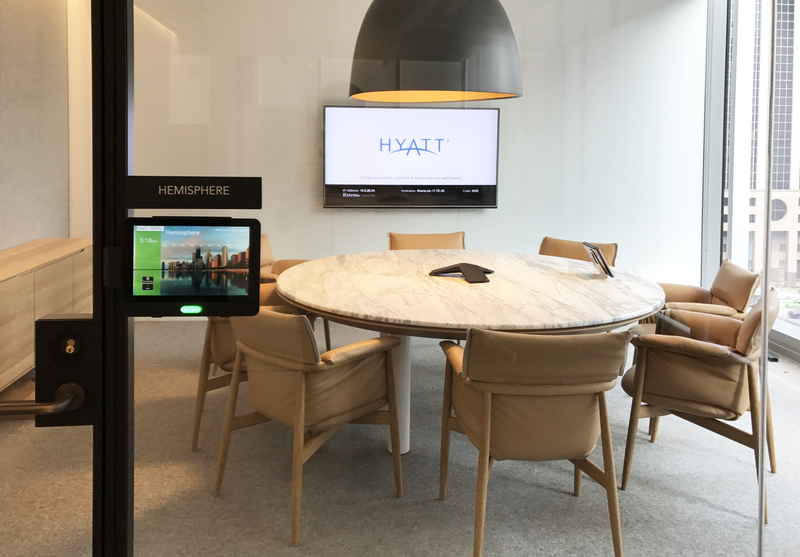 Hyatt Hotels Corporation recently relocated its global headquarters to 150 North Riverside Plaza, occupying 10 floors and 250,000 square feet to accommodate 1,000 employees. 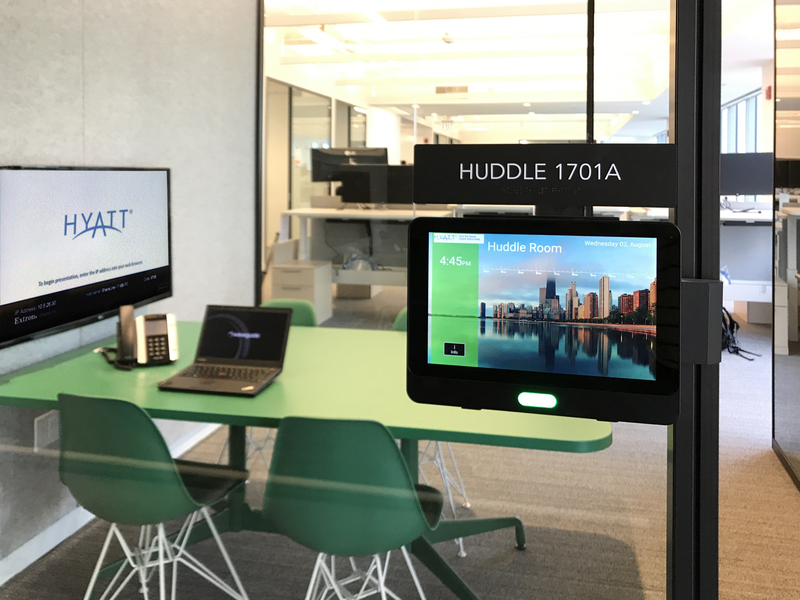 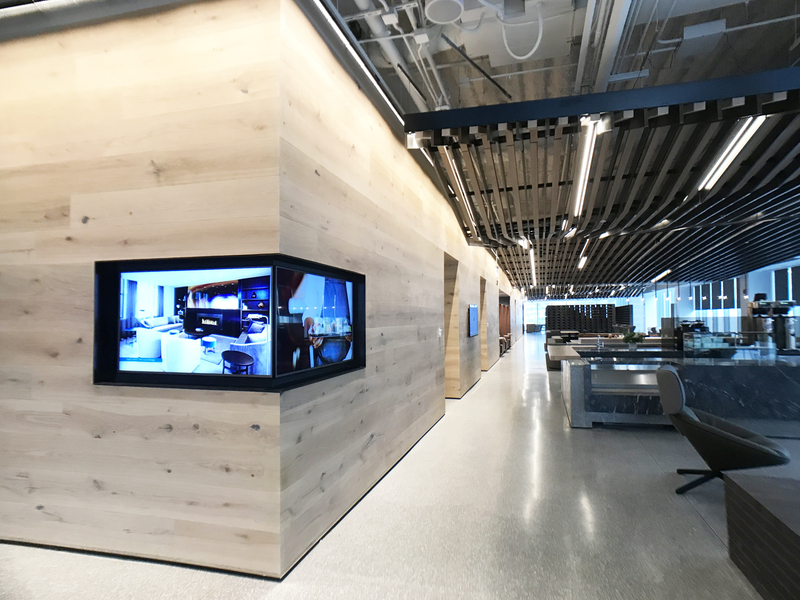 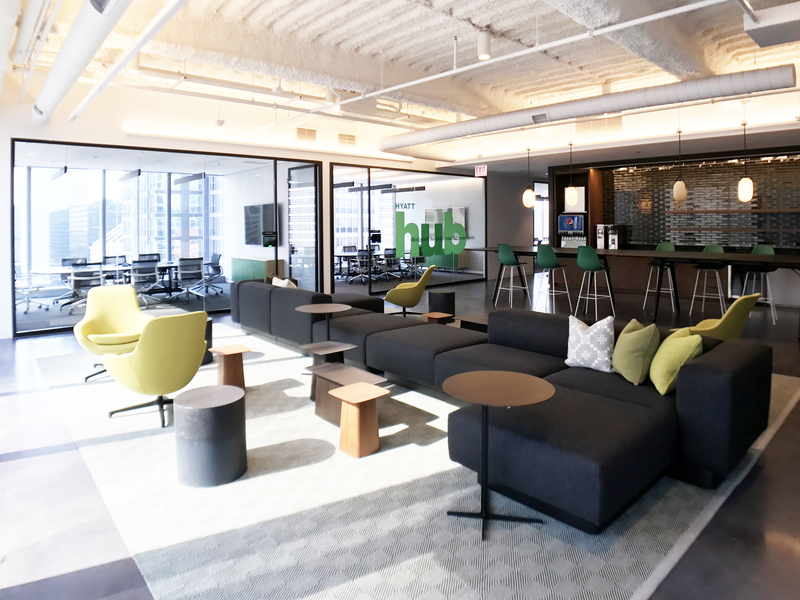 Waveguide provided AV, acoustics and software programming consulting for more than 80 huddle rooms, 60 collaboration areas, 50 meeting rooms, event space, dining areas, gallery and open area signage. 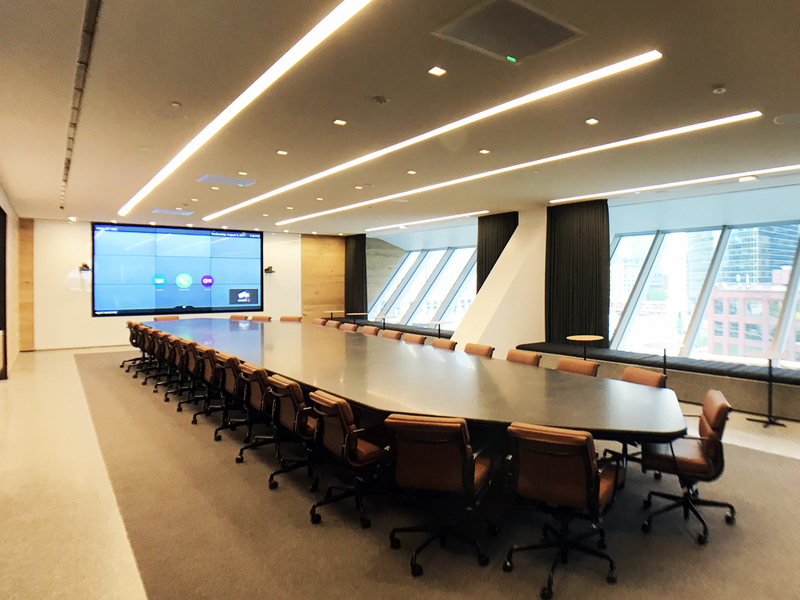 These spaces also include state-of-the-art collaboration technologies from audio/video/web conferencing to assistive listening, a room reservation system and digital signage, among others. 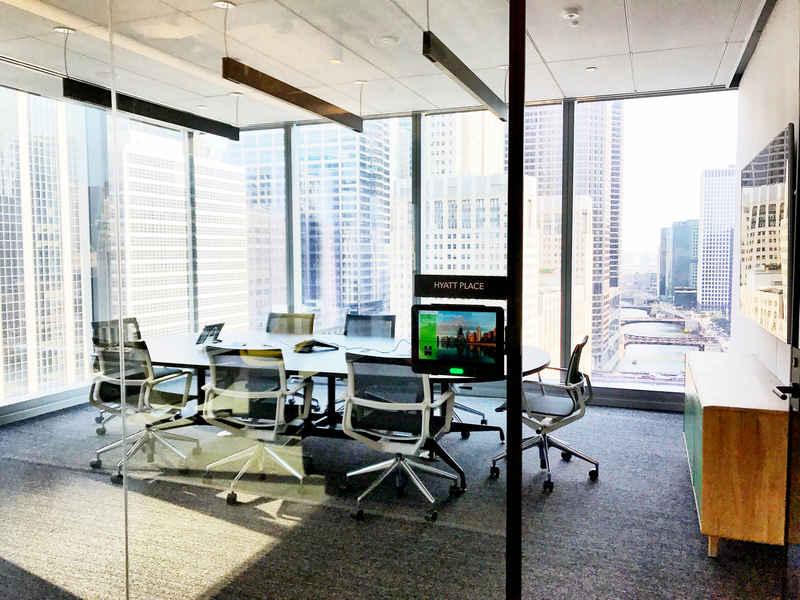 Waveguide’s interior sound isolation design support and acoustical surface finish recommendations ensured suitable acoustic environments for the range of activities anticipated in each space.